I hope you had a wonderful Father's Day weekend. 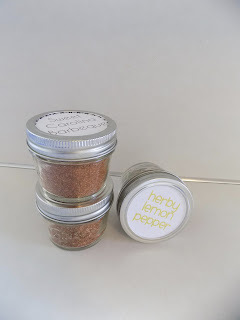 For gifts this year I gave out homemade meat rubs. I thought I would share for all of your summertime grilling needs. I mixed all of the ingredients for each recipe in a bowl. After they were well mixed I placed the mixture in a jar with a label. They were super quick and easy. I found my recipes on Pinterest and there were many more if these don't tickle your fancy. 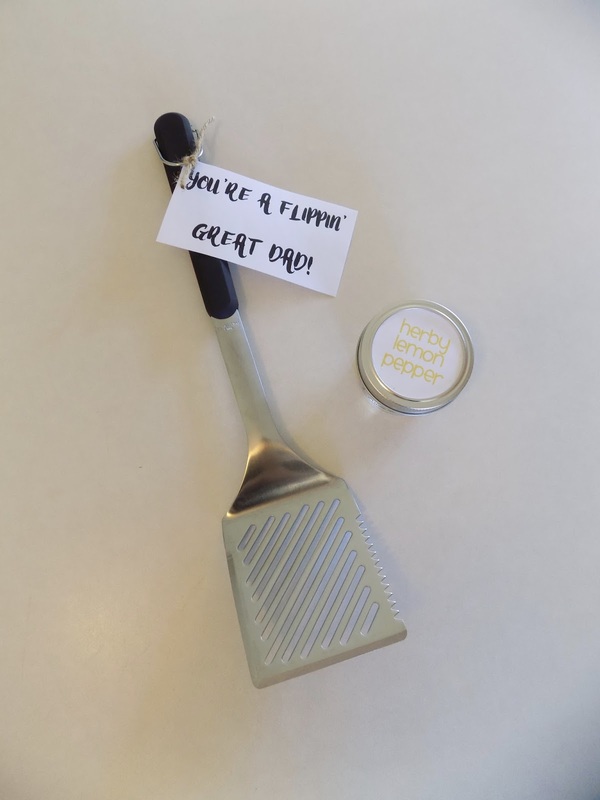 I paired the jars with a grilling spatula and a cheesy little saying. What did you give to the men in your life this year?